Last weekend we drove out to Sonoma County for a fall Weekend Along the Farm Trails. Sonoma County, famous for vineyards, is a bountiful agricultural area with family farms and local producers. 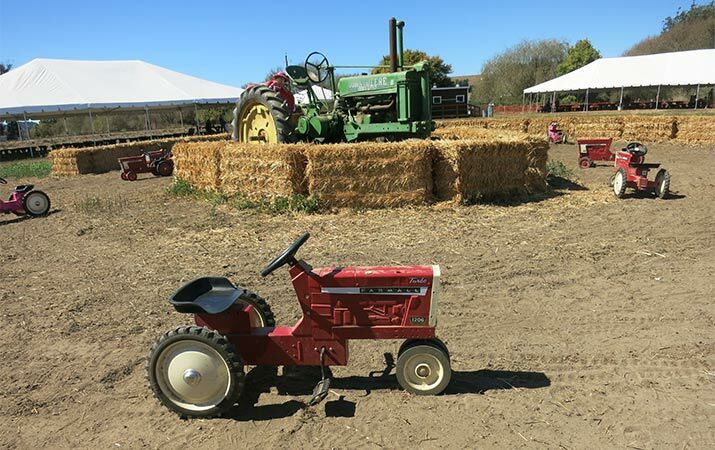 On Sonoma County Farm Trails, kids can visit local farms, see farmyard animals, pick apples and pumpkins, take tractor wagon rides, play in hay bale mazes and more. 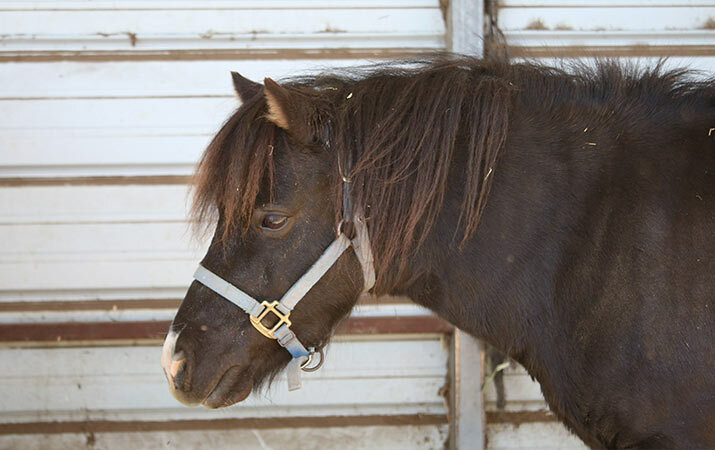 It’s the perfect activity for toddlers and younger kids, who have fun watching chickens running around and pigs playing in the mud, or petting pygmy goats. 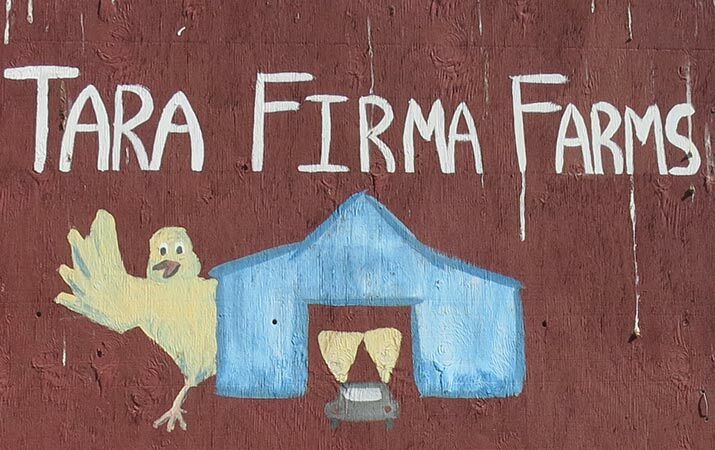 Our first stop, Tara Firma Farms, situated down a country road near Petaluma. It was just so peaceful, a breeze ruffling the cattails in a pond, sounds of chickens clucking as they ran around in a pasture beyond the barn. In one pen, little red piggies munched on food, then ran over to get a drink of water, excitedly oinking. It was a warm, sunny day, so the little pigs had a fun time cooling off in the mud. All the pigs had a twirly, curly tail (curly tails are real, not just in piggie stories). Our favorite animals are two pygmy goats, named Cocoa and Nutmeg (in video above). Cocoa and Nutmeg are inseparable, and love to be petted. They went for a walk in the yard, munched on blackberry bushes, and then we spent plenty of time stroking their soft fur. Cocoa and Nutmeg are adorable for kids and parents alike! After a delicious lunch of hamburgers made with ground beef from their grass-fed cows, local tomatoes and lettuce, and coleslaw, we stopped into the Tara Firma farm store to buy eggs, just collected this morning – that’s a fresh egg. After lunch, it was time for dessert at the Petaluma Pie Company in downtown Petaluma. 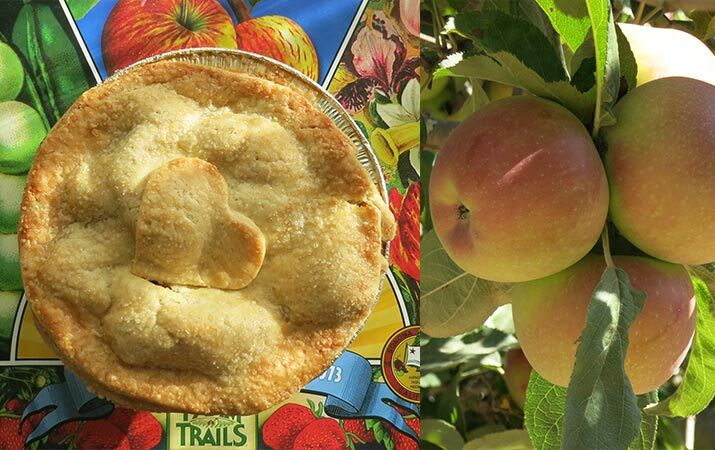 Their pies are made from local fruits, such as apples, blackberries, raspberries, peaches, nectarines. Pie is also great with a dollop of ice cream from the Sonoma Strauss Family Creamery. At McClelland’s Dairy, fluffy black baby chicks hopped around, baby goats were sleeping together, a white donkey mom nestled with her brown foal, and we saw the dairy cows, source of the delicious organic butter we took home. Kids were having fun driving toy tractors around, playing in the corn pit (filled with corn kernels) and hay bale maze. 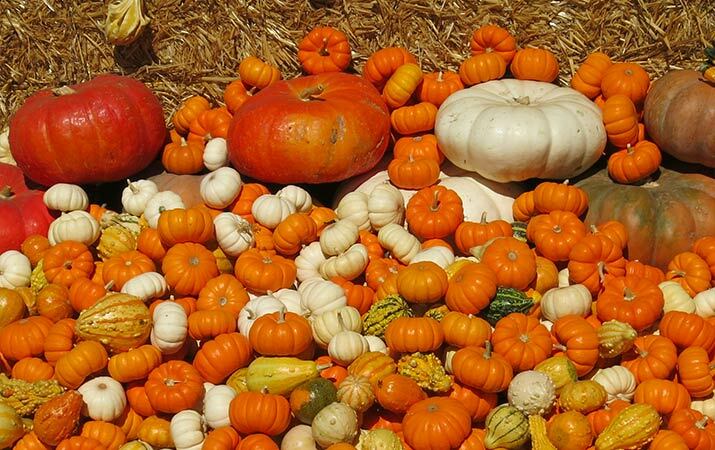 Pick pumpkins from the pumpkin patch, or take home a mini-pumpkin from the colorful pile of pumpkins. Ratzlaff Ranch is a u-pick apple orchard, open daily in September and October. 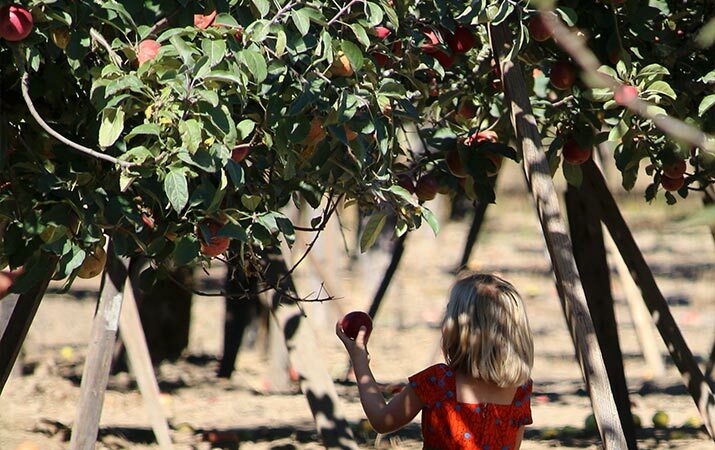 The ranch provides everything you need for picking Golden Delicious and Rome Beauty apples – a basket-shaped apple picker (very fun for kids), bag to sling over your shoulder, and boxes for picked apples. We arrived at Green Star Farm in time for an excellent lunch of freshly-made sandwiches, cold drinks, chocolate chip cookies. On the large farm, goats rested in the shade or wandered across the grass to an artificial pond, two goats had very long beards, and miniature donkeys wiggled their ears at us. Green Star Farm has tractor wagon rides that go throughout the farm, fun for everyone in the family. 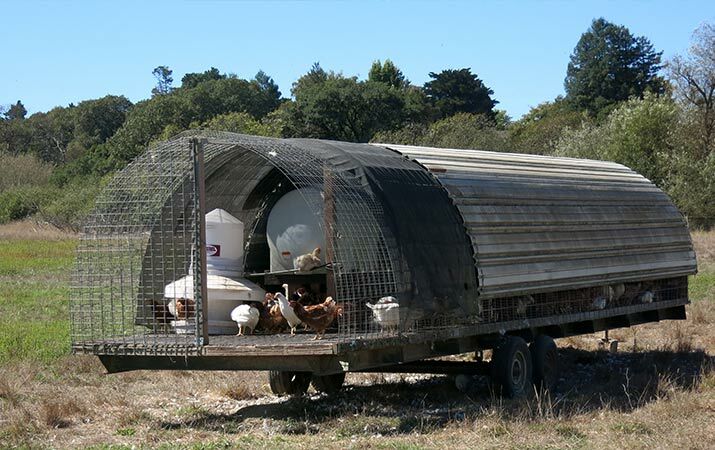 Something we’d never seen before – “mobile chicken coops” out in the pasture. Eggs from pasture-raised chickens are very tasty, and we discovered the way they transport chickens around is chicken coops on wheels. The coop is pulled into the pasture, the farmer open the door, chickens hop down and run around. Bring a cooler so you can buy fresh eggs and other food from the farm stands. Wear closed toed shoes – it’s dusty and fields may have animal poop on the ground. For the weekend, you’ll need a fun place to stay – check out our Sonoma family hotels on Travel for Kids.